Sage CRM is a Customer Relationship Management (CRM) solution give you the tools and insight you need to grow your business and make an indelible impression on customers – with every sales, marketing, support, and service interaction. Net at Work is the premier authorized Sage CRM partner and consultant in North America. Our team is comprised of the industry’s leading Sage CRM consultants and CRM developer offering the range of Sage CRM solutions and integrations. Our developers have broad experience in the Sage CRM product including integration with ERP as well as the expertise to make a wide range of modifications to the base system. Our consultants and help desk service and support Sage CRM users across the nation and in Canada via our offices in Boston, Massachusetts | Cheshire, Connecticut | Chicago, Illinois | Dallas, Texas | Detroit, Michigan | Madison, Wisconsin | New York , NY | Totowa, New Jersey| Raleigh, North Carolina | Rochester, NY | Seattle, Washington | Windsor, Ontario. Sage CRM is a Customer Relationship Management (CRM) solution give you the tools and insight you need to grow your business and make an indelible impression on customers – with every sales, marketing, support, and service interaction. Easy-to-use and quick to deploy in the cloud or on-premises, Sage CRM delivers a rapid return on investment so you see a positive impact on your business. Plus, Sage CRM can be easily adopted by your organization to fit the way you work, saving you time and money, both now and in the future. Sage CRM On-Premises – A fully-featured solution, Sage CRM (On-Premises) can be easily customized to meet your unique business requirements. 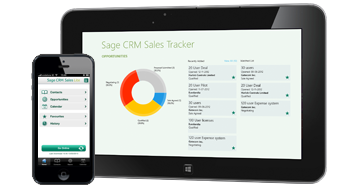 Sage CRM Cloud – Provides a complete view of customer interactions. Your customer data is stored on a highly secure web platform without the need to maintain your IT infrastructure in-house. Net at Work is one of the leading authorized Sage CRM partners, resellers and consultants. Our consultants and developers have extensive experience in Sage CRM, including installs, upgrades, conversions, customizations, support and training.